Back in 2014 I made a zine about my dad called 'Paint It Black' as part of my Contemporary Art degree final year's work. I had it printed in colour and sold a bunch of copies. It was a nice experience to share it and I had a lot of people email me after reading it, sharing their own memories and grief. When I first started the process I sat down in my studio at uni and tried to think of as many things as I could remember from that period on post it notes and I stuck them all on a wall. I wrote a little about the process of making it back in this post. I've long since stopped printing it, as it was expensive to produce and my favourite print shop (vale UTAS UNIPRINT) closed up shop. I can't even find the original files as I think they've long since been lost on a broken external hard drive, but I was able to save the images from a pdf I'd emailed my printer years ago. I think I've got one single hard copy floating around somewhere that I gave my boyfriend when we first met. Anyway, I thought I'd just share it here in it's entirety, if anyone wants to have a read. I look the drawings and writing now and think they seem really naive and it could all do with a good edit, but I am happy to share it for posterity's sake. I haven't made a post in this space for a long time and I doubt I'll be returning to any kind of regular posting schedule but I wanted a space to share some photos and links about weaving, something I've taken up recently. I mostly wanted to share some photos of things I've been working on and links to resources that I've found useful, if only for my own future use. I decided to teach myself to weave because I wanted to make my sister in law a nice house warming gift. I'd never seen anyone weave before and had no idea what it entailed so I started by watching some videos - I took Rachel Denbow's Skillshare class Weave Your First Woven Wall Hanging and also watched Annabel Wrigley's Weaving For Beginners Creativebug videos on Youtube. I recently borrowed Rachel's book DIY Woven Art from my local library - while it's a largely a beginner's guide (and I think I've graduated just past that stage), it has some really nice projects and easy to follow technique guides. I assumed I'd make my own loom using an old wooden canvas frame with the canvas removed and attach tiny nails, but decided this was going to be a hobby I could justify spending a little extra on and I bought this medium sized loom from Spotlight (it's 39cm x 26cm). Most of the yarn I've used has come from opshops and a couple of splurges at Spotlight - it's fun seeing the variety at opshops, I've found some really unique yarn there. My favourites are usually natural fibres but I don't mind an acrylic mix. I find that synthetic fibres don't look or feel as nice and can look too shiny. 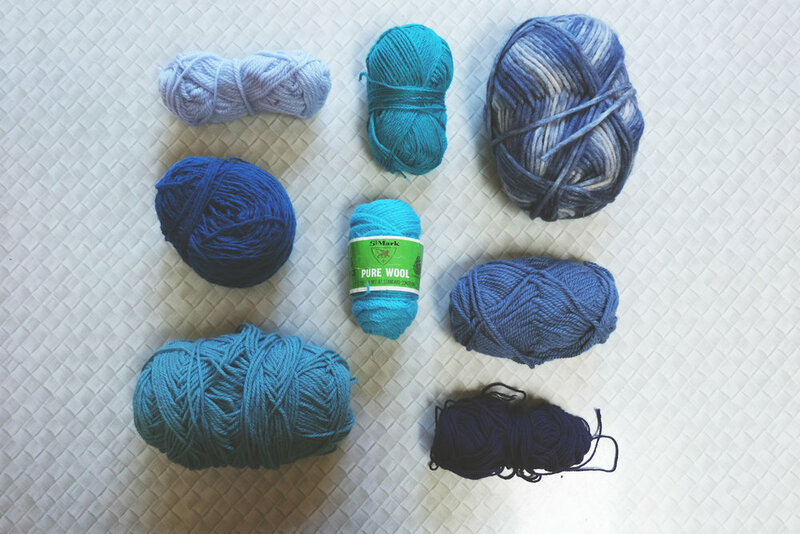 I love laying out a selection of balls or skeins of yarn and choosing colours for a project. I have admired a number of fibre artists on Instagram - such incredible work! Here are some of my favourites. Learning new techniques as I go has been really fun - The Weaving Loom has a great collection of technique tutorials as does Loom & Spindle. I love rya knots and soumak stitches and have recently tried my hand at a double warping my loom. I found it surprisingly challenging to work on - I kept missing warp threads and wouldn't notice then I'd have to undo some of my weft threads to fix the mishaps. I'd really like to try a shag weave sometime and use different coloured warp. At the time of writing this post, I've made 8 weavings so far. I finished up the last one a few days before Christmas for a friend. I've given all 9 weavings away, mostly as Christmas gifts. I've got one more to make for a friend and then I might make a few to sell. I've got a long to-do list before I start my Masters of Teaching in late Feb, and I'd like to fit in making as many weavings as possible before I become very time poor. Here are some photos of them - they're in the order that I made them, so hopefully it looks like I was improving! Left: My first weaving, for my sister in law. Right: A weaving for my co-worker Krystal who was my Secret Santa this Christmas. Left: A weaving for my friend Jaine for Christmas. Right: A weaving for my sister Sarah for Christmas. Left: Deviating from my apparent favourite colour schemes, a weaving in blue for my Mum for Christmas. Right: A weaving for my lovely coworker Aishwarya for her birthday. I used some of the felt balls I made way back when I was pregnant. Remember when I didn't make a felt ball rug? Left: A weaving for my sister in law Yasmin for Christmas. Right: A weaving for my friend Elise for Christmas. It's quite nice putting my loom on my lap and watching TV while I weave (not great for posture though). I've been watching a lot of The Crown Season 2 while I weave lately. I should really make myself some kind of stand so that I'm not constantly hunched over. I feel as though I'm just about outgrowing the medium sized loom and would love to try my hand at making a larger sized loom for bigger projects. Fall For DIY's Giant Loom post seems like a good place to start. I recently unearthed the electric jigsaw my neighbour gave me several months ago and replaced the blades for a small project and would love a reason to use it again (<3 power tools). 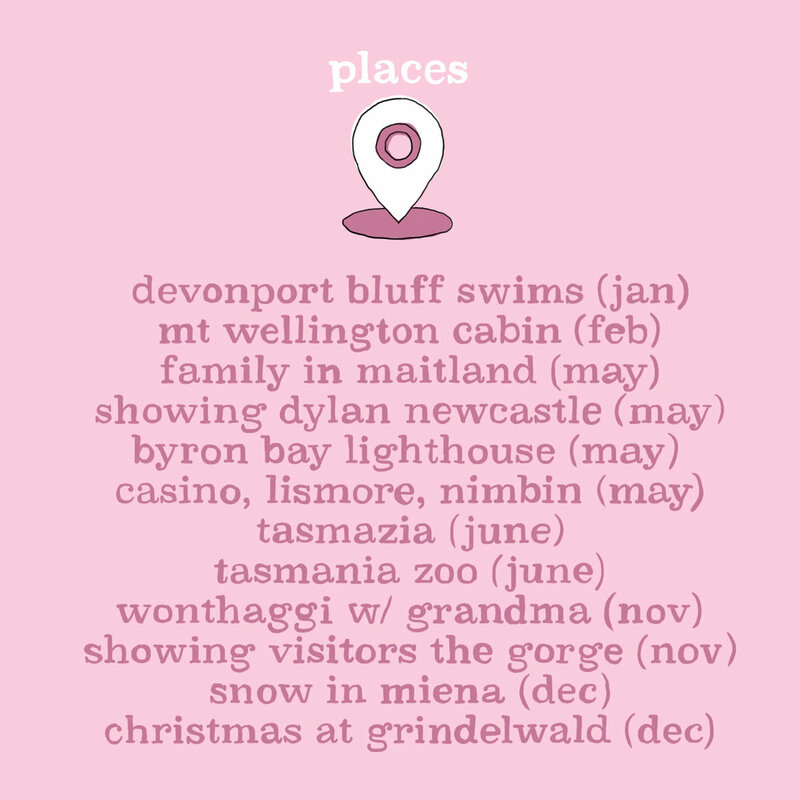 If I attempt making one I'll post how I went about it (if it's a total failure I might not post about it, ha). I'd also love to try making a latch hook wall hanging. My mother in law gave us an enormous latch hook that she made before she got married (30-something years ago) and had in storage (see below + my dog and new bed). A little ambitious for my tastes. The 'tools' I use other than my purchased wooden loom are just a large metal wool needle, a shed stick that came with my loom (a stick that is placed over and under the warp threads to separate them to make it easier to weave over/under) and a pair of scissors - simple! My loom came with a heddle bar, which I've not used and have since misplaced. I don't think weaving tools have to be fancy to get a nice result, howeverI thought I'd post a few of my weaving wish-list items here as well. I'd also love a proper pompom maker as the ones I make with a piece of cardboard are just never as perfect as ones made with a proper maker. Here are a couple of books I'd love to have a browse through for inspiration. 1. On The Loom by Maryanne Moodie 2. Weave This by Francesca Kletz & Brooke Dennis 3. 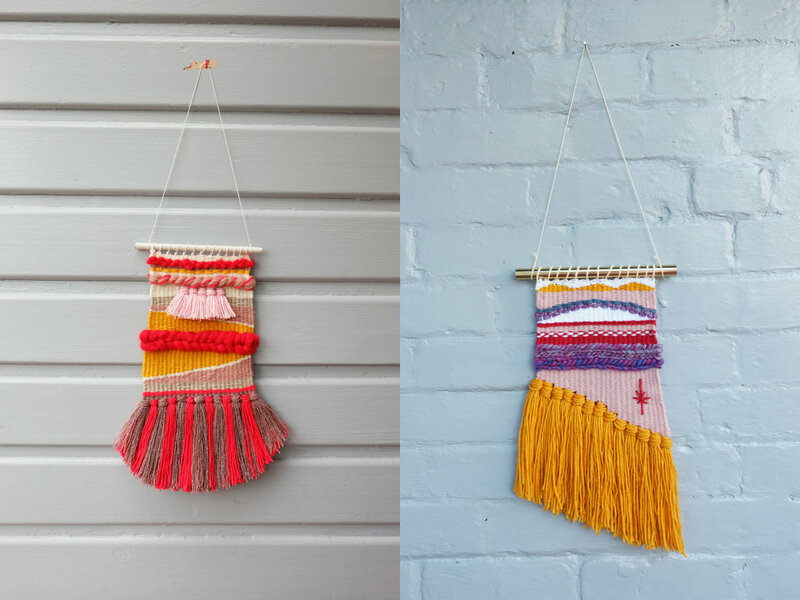 Modern Weaving by Laura Strutt 4. Little Loom Weaving by Andrea Gomes 5. Line Shape Texture Ebook by Andrea Rothwell 6. Woven Color by Natalie Miller. I'll finish up with some yarn I like from my stash. Rachel Denbow refers to them as 'yarnicorns' - the balls/skeins you hold onto for just the right project. Here are some fake womens magazine covers I made for a project that is on hold. I thought I may as well share them. I've got more ideas for a few more. Reading the covers of actual magazines is basically inspiration enough - ha! + Click to view larger image. You're welcome to download and print it out if you like. I haven't been around these parts in a while so I thought I'd share some little drawings I've been doing lately. I am oddly passionate about what you should and shouldn't feed ducks. Theo really likes feeding them, so I started looking into what was good to feed them and we began taking along a bag of oats each time we went to the park - only about a dollar for a bag. Often we'd arrive just after somebody with a big bag of homebrand white bread had been there, so the ducks were lethargic and not interested in our nice oats and the pond was full of waterlogged bread. I guess people go along to feed the ducks primarily because it's a nice caring ritual and they care about the ducks, so I wanted to spread some small amount of awareness about what some nice foods to feed them are. The second image Theo's dad asked me to draw months ago and I finally got around to it. Mmmm, platypus custard.